Apart from the ui being neat and simple, Is there any other reason why every major website uses a white background with very few colors? This answer is more general, instead of just white I'll focus on light backgrounds. There are two main factors that influence the fact that most websites use a light background, the first is the power of defaults and the second is readability. HTML and CSS Styling in browsers defaults to white, most of the users, in this case the developers tend to stick with the default options. Just google "The power of defaults" to see what I mean. There is also an evolutionary component about where the interface comes from and which objects in the real world it is trying to imitate. It could be really straightforward to think that given that the main use is to display information designers tried to emulate books which are light text over dark backgrounds. (I don't have evidence about this). The second reason is that dark text on light backgrounds is better for readability, and this is a very controversial topic. 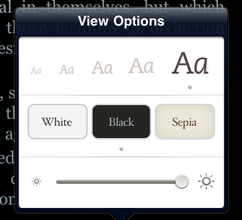 Text readability depends on a bunch of factors: mainly contrast, but also font size, color and lighting conditions. You should avoid using white text on a dark background when displaying paragraph text to make it easier from them to read. Forcing users to fixate on the white text for a long time can strain the user’s eyes. This is because white stimulates all three types of color sensitive visual receptors in the human eye in nearly equal amounts. White also reflects all wavelengths of light. Because the words and letters in paragraph text are compact and close together, when white text reflects light, the reflected light scatters and runs into neighboring words and letters. However, most studies have shown that dark characters on a light background are superior to light characters on a dark background (when the refresh rate is fairly high). For example, Bauer and Cavonius (1980) found that participants were 26% more accurate in reading text when they read it with dark characters on a light background. Moreover, a survey by Scharff, et al. (1996) revealed that the color combination perceived as being most readable is the traditional black text on white background. And here is another study on the topic: Letter identification performance is better for negative contrast than positive contrast. To let the content stand out, you want a neutral background to build on. If you use to much colors and color patterns, the background seems more important than the content and structure. In most cases white is seen as a neutral background color and other colors, even when used in smaller proportion, are the colors that convey the most meaning in a design. Use white to signify cleanliness or purity or softness. White is color at its most complete and pure, the color of perfection. The color meaning of white is purity, innocence, wholeness and completion. In color psychology white is the color of new beginnings, wiping the slate clean, so to speak. It is the blank canvas waiting to be written upon. While white isn't stimulating to the senses, it opens the way for the creation of anything the mind can conceive. Simply put I think its just harder and costs more to design a site in dark colours than white colours. Firstly as pointed out in other answers contrast is king when it comes to readability and black on white is easier to read rather than white on black, but not that much easier. I read books on my Android phone with white text on a black background and have no issues reading it. Websites started off with white backgrounds and its the default colour in browsers as pointed out in the comments. So more designs and designers are focussed around white backgrounds. Thus it becomes the norm and there's more templates to use and ideas to share about what looks good on a white background. Then any major company who has to put in a long term strategy about their site has to decide on either a light or a dark background and then go down that path, becuase switching from a white to a dark background for any large site will be a major (costly) change, e.g. even if a site like Amazon has a site template that can be switched all the millions of product images are optimised for a light background and the same would be vise-versa for a company that decided on a dark background. So some niche sites that want to stand out will use a dark background but all major sites are compelled to use a white background. Not the answer you're looking for? Browse other questions tagged background or ask your own question. Background video on tablet/phone? Or still image? Users stating that the redesign is too bright? What are best practices for a Mac app to show notifications without unnecessarily interrupting the user?